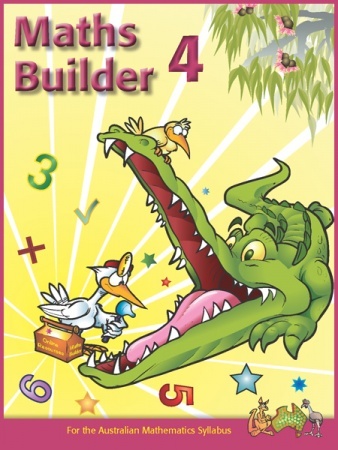 Written for the Australian Curriculum, the Maths Builder series of primary maths texts allows teachers to teach each of their students at their point of need. Each page of the texts is supported by high quality resources from the online Maths Builder program including an interactive game, diagnostic test, a cross-reference feature (used to remedy specific learning gaps), plus many other resources. Access to the website is free. However, some features require a subscription. (See the website for details.) The Year 1 Maths Builder text covers all content of the Australian Curriculum, Year 1 Content Descriptions across the three content strands: Number and Algebra, Measurement and Geometry, and Statistics and Probability. 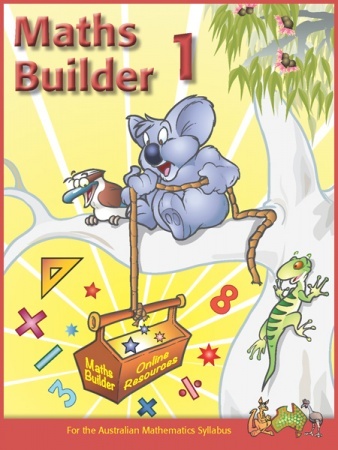 Written for the Australian Curriculum, the Maths Builder series of primary maths texts allows teachers to teach each of their students at their point of need. Each page of the texts is supported by high quality resources on the online Maths Builder program including an interactive game, diagnostic test, a cross-reference feature (used to remedy specific learning gaps), plus many other resources. Access to the website is free. However, some features require a subscription. (See the website for details.) The Year 2 Maths Builder text covers all content of the Australian Curriculum, Year 2 Content Descriptions across the three content strands: Number and Algebra, Measurement and Geometry, and Statistics and Probability. 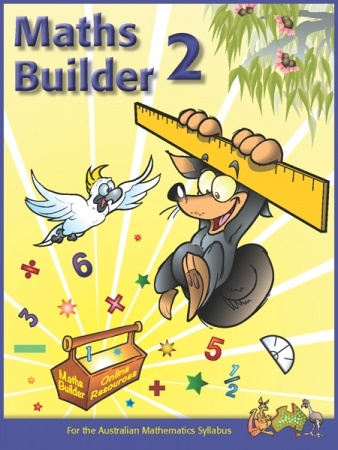 Written for the Australian Curriculum, the Maths Builder series of primary maths texts allows teachers to teach each of their students at their point of need. Each page of the texts is supported by high quality resources on the online Maths Builder program including an interactive game, diagnostic test, a cross-reference feature (used to remedy specific learning gaps), plus many other resources. Access to the website is free. However, some features require a subscription. (See the website for details.) The Year 4 Maths Builder text covers all content of the Australian Curriculum, Year 4 Content Descriptions across the three content strands: Number and Algebra, Measurement and Geometry, and Statistics and Probability. 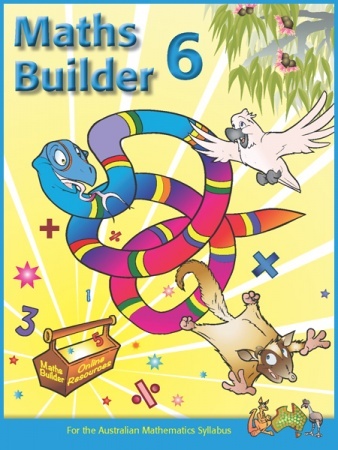 Written for the Australian Curriculum, the Maths Builder series of primary maths texts allows teachers to teach each of their students at their point of need. Each page of the texts is supported by high quality resources on the online Maths Builder program including an interactive game, diagnostic test, a cross-reference feature (used to remedy specific learning gaps), plus many other resources. Access to the website is free. However, some features require a subscription. (See the website for details.) The Year 5 Maths Builder text covers all content of the Australian Curriculum, Year 5 Content Descriptions across the three content strands: Number and Algebra, Measurement and Geometry, and Statistics and Probability. 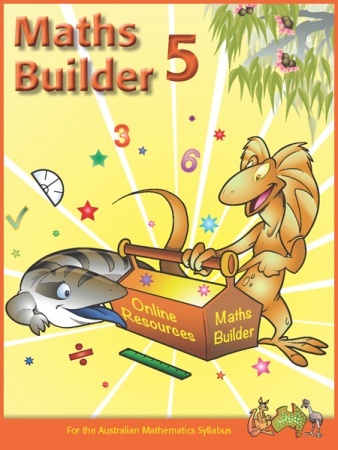 Written for the Australian Curriculum, the Maths Builder series of primary maths texts allows teachers to teach each of their students at their point of need. Each page of the texts is supported by high quality resources on the online Maths Builder program including an interactive game, diagnostic test, a cross-reference feature (used to remedy specific learning gaps), plus many other resources. Access to the website is free. However, some features require a subscription. (See the website for details.) The Year 6 Maths Builder text covers all content of the Australian Curriculum, Year 6 Content Descriptions across the three content strands: Number and Algebra, Measurement and Geometry, and Statistics and Probability. 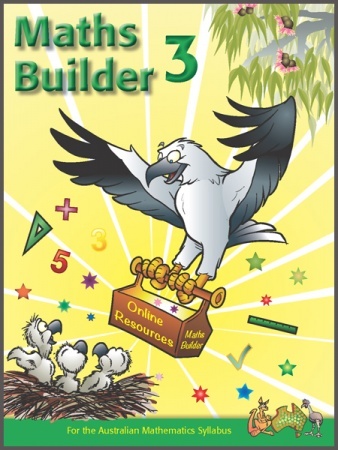 Written for the Australian Curriculum, the Maths Builder series of primary maths texts allows teachers to teach each of their students at their point of need. Each page of the texts is supported by high quality resources from the online Maths Builder program including an interactive game, diagnostic test, a cross-reference feature (used to remedy specific learning gaps), plus many other resources. Access to the website is free. However, some features require a subscription. (See the website for details.) 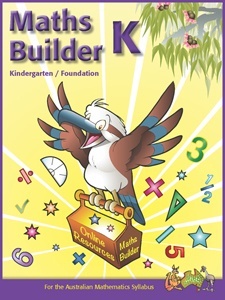 The Kindergarten/Foundation Maths Builder text covers all content of the Australian Curriculum, Kindergarten/Foundation Content Descriptions across the three content strands: Number and Algebra, Measurement and Geometry, and Statistics and Probability.